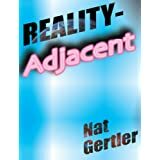 Nat Gertler is an award-winning writer with experience in books, magazines, web, TV, and comics. In comics, he has been a writer and an entrepreneur. He has written and spoken extensively about the artform. In addition to his general comics knowledge, he is a specialist in the works of Charles M. Schulz, creator of "Peanuts". He also works as a publisher, an editor, and provides freelance ebook and comic book services. the founder and publisher of About Comics, an independent comics publishing and packaging firm, which has over the course of more than a decade produced a diverse mixture of reprints of works by some of the most respected comics creators and original works. Through its Combustoica project, About also has its hands in the print-on-demand and ebook worlds. the writer of over 100 comic book stories for many publishers. the founder of 24 Hour Comics Day, the annual worldwide celebration of comics creation. Each year, over a thousand cartoonists, professional and amateur, gather in locations around the globe and create over 10,000 pages of original art as each tries to create a 24 page comic (normally months of work) in 24 straight hours. 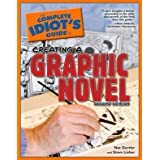 co-author (with Steve Lieber) of The Complete Idiot’s Guide to Creating a Graphic Novel, an acclaimed volume now in its tenth printing across two editions. a guest speaker on comics creation at University of California - Santa Barbara, California Lutheran University, Bard College at Simon’s Rock, and various grade schools. a former cartoonist-in-residence at the Charles M. Schulz Museum (Santa Rosa, CA), February 2008. 3-D Heavy Metal Monsters 1, "The Endless Thrash", art by Chris Swanberg. The Factor 1-4, art by Joe Staton, Matt Feazell, Carla Speed McNeil, Rusty Haller,and others. Licensable BearTM issues 1-4, art by Mark Lewis, Rusty Haller, Tone Rodriguez, and others. 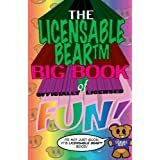 "Licensable BearTM Goes to a Comic Shop", "Licensable BearTM Rolls Out", and "Licensable BearTM Satisfies a Customer", art by Rusty Haller. "Licensable BearTM Defends Himself", art by Ryan Estrada. Raoul Berglin one-shot. Art by Jim MacQuarrie. Wild About Comics one-shot, art by Rusty Haller. Issue 17, "Star-Crossed", art by Carzon. Issue 18, "Strip Strike", art by White. Published outside US: "Baby on Board"
Published outside US: "Fireman Fred"
Published outside US: "Raiders of the Last Rock"
Burrito 4, "Burrito-ito", art by Nat Gertler. Issue 7, "Bank Notes", art by Stephanie Gladden and Justin Thompson. Issue 8, "Missing Peace", art by Vicki Scott and Paige Braddock. Issue 9, "Write & Wrong", co-written by Alexander E. Fajardo, art by Stephanie Gladden and Paige Braddock. Issue 10, "Twinkle Thinkle", art by Jeff Shultz. Issue 12, "Movie Time", art by Andy Hirsch. Issue 15, "Joe Stockcar", art by Andy Hirsch; and "Press Here", art by Jeff Shultz. Issue 16, "New Shoe Zoom", art by Robert Pope. Issue 18, "Steep Grade Ahead", art by Robert Pope; and "In the Shadows", art by Stephanie Gladden and Justin Thompson. Issue 29, art by Adam Rex and Paul Whitehead. issue 30, art by Janine Johnston. issue 31, art by Alex Grecian. Young Zen Giant Sized 1, "City of Death", art by Nigel Tully & Kevin Mackenzie. Zen Intergalactic Ninja Video Warrior one-shot, art by Raff Ienco. GrimJack 57, "Munden's Bar: The Visit", art by George Booker. Eek! The Cat 3, "Invasion of the Martian Space Bunnies from Venus", art by Rusty Haller. Issue 1, "Wanna-be", art by Batton Lash . Issue 2, "Deadly Developments", art by Sparky Moore. Big Bang 8, "Mister U.S.: Fifty Forgotten Years", art by Mark Lewis. Ultiman Giant-Sized Annual 1, "The Cavity Crusade", art by Mark Lewis. Images of Omaha 1, "Believe It Or Don't...", art by Mike Bannon. Speed Racer 21-22, "The Last Lap", art by Mike Ebert. 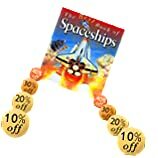 Speed Racer Classics volume 1 (English script, chapters 2-4). Death & Taxes one-shot, art by Tatsuya Ishida. Headbanger one-shot, art by Thad Rhodes & Mike Bannon. Mightily Murdered Power Ringers one-shot, written under pseudonym "Nigel Ng", art by Tatsuya Ishida. Issue 1, "I'm Alone", art by Joe Paradise. Issue 2, "Wonderful Life II: Attack of the Robonator", art by John Stinsman. Issue 2, "A Shirty Story", art by Bill Maus. Issue 3, "Dramaticula", art by Ed Quimby. Quantum Creep one-shot, art by Ted Slampyak. Silly Surfer one-shot, art by John Hathwaway. Everwind 4, "The Creme-Filled Conspiracy", art by Steve Peters. Issues 7-8, "Mamma's Boy", art by Joe Staton. Issue 9, "Crumbs", art by Darick Robertson. Issue 3, "Power User", art by Simon Coleby. Issue 5, "11 Stories", art by Jeff Newman. Issues 7-8, "Junkyard Dogs", art by Kent Burles. The Daytona 500 Story one-shot, co-written by J.J. Gertler, art by Herb Trimpe. Issue 10, "Talladega", co-written by J.J. Gertler, art by Dan Spiegle . Issue 12, "Richard Petty Salutes His Fans", art by Mike Esposito. NASCAR Adventures 3, "Darlington"-co-written by JJ Gertler, art by Michael Barsky. NASCAR Christmas Special, "Blitzen's on the Frizz", art by Paul Abrams. Issue 1, "A Troll's Tale", art by Ken Mitchroney. Issue 6, "The Voluntary Chain", art by Paul Bonanno. ElfQuest: New Blood Summer Special, "How not to write ElfQuest", art by Brian Buniak. Also, scripts for Comic Zone, for international distribution by Hanna-Barbera (Flintstones, Jetsons), unreleased works for DC Comics, Malibu Graphics, Parody Press, and Platinum Press. Some works listed above have been reprinted by different publishers, including About Comics, DC Comics, and IDW. Host of the AAUGH Blog Podcast, a weekly podcast focusing on Peanuts books, since October 2017. 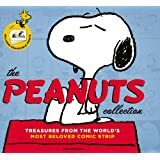 Author of The Peanuts Collection: Treasures from the World's Most Beloved Comic Strip, published by Little, Brown in October 2010. $35 interactive slipcased hardcover, print run of 70,000, coverage on The Today Show, and a Christian Science Monitor "top pick". Author of Classic Peanuts: Great Moments, published by Sterling Publishing in September 2014. Author of The Snoopy Treasures: an Illustrated Celebration of the World Famous Beagle, Thunder Bay Press, November 2015. 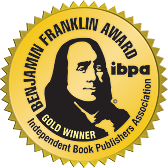 Winner of the 2016 Ben Franklin Gold Award in the category of Coffee Table Books from the Independent Book Publishers Association. Publisher of six books of Charles M. Schulz's non-Peanuts cartoons: It's Only a Game, Schulz's Youth, Bridge Mix, Spares, The Zipper On My Bible is Stuck, and God's Children. 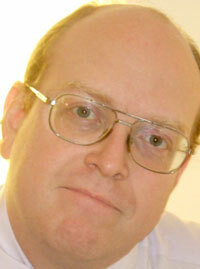 Contributor of articles on Peanuts to American Heritage, Comics Buyer's Guide, and Hogan's Alley. Writer on Peanuts comic book published by Boom! Studios, various stories in issues 7-10, 12, 15-16, and 18. Dialogue writer for unreleased Peanuts video game from Infogrames. Writer of The AAUGH Blog, a news and opinion source for Peanuts book collectors since January, 2000, and compiler of the AAUGH.com Collector's Guide to Peanuts Books. Speaker at The Charles M. Schulz Museum and Research Center, Santa Rosa, California, during their opening month, and Cartoonist In Residence at the museum in February 2008. "Talking head" on the DVD extras for the current editions of You're a Good Man, Charlie Brown; I Want a Dog for Christmas, Charlie Brown; You're a Good Sport, Charlie Brown; and Bon Voyage, Charlie Brown. "Talking head" on the TV documentary Peanuts: The Global Phenomenon. Moderated the 50th Anniversary Peanuts panel in the big room of the San Diego Comic-Con. Credited for providing assistance or input on various volumes of The Complete Peanuts (Fantagraphics Books), and Chip Kidd’s Peanuts: The Art of Charles M. Schulz (Pantheon). Cited for Peanuts insight by Investor's Business Daily, Associated Press, KPCC's Airtime, and Snopes.com. Nat is the author or co-author of about two dozen how-to and non-fiction books, including various volumes in the popular Complete Idiot’s Guide series. He also created a brief Internet sensation in May, 2005 when he reverse-engineered Amazon.com’s powerful image processing system, and posted a guide to tricking Amazon into creating interesting product images through the use of ornate URLs. Nat’s guide was featured on major blogs like BoingBoing, cited in programming texts, and even used within Amazon's offices. "Quarterly Planet"/"Irregular Planet" - column in every issue of Hogan's Alley for more than a decade. Introductions for The Complete Idiot's Guide to American History Illustrated, Everybody Gets It Wrong! And Other Stories, Malaysian 24 Hour Comics Day. All of the above-listed prose stories are collected in the book Reality-Adjacent. 32 Busts: Lies Written For Thirty-two Photographs, limited edition hardcover short story collection. Born at an early age, Nat turned quickly to reading (the earliest book he can recall is a Peanuts comic strip collection, which certainly portends and may be the root cause of much that is to come) and writing (his first story? “Fat Nat sat on a cat, and Lassie saw a rat. Boo!”) His earlier years were spent in Cinnaminson, NJ; Simsbury, CT; and Riverton, NJ, where he stayed long enough to consider it his hometown. There with the help of supportive parents and teachers, he sped through school, skipping 4th grade, and was soon shuttling between the grade school and the high school for math and science classes. On his bar mitzvah, his first home computer arrived, a Commodore PET for which he and his family had paid extra to get the full 8 kilobytes or RAM. At age 14, he went off to attend Simon’s Rock of Bard College, where he obtained his BA four years later. While comic strips and humorous kiddie comics like Little Archie and Richie Rich had made up a portion of his regular reading in his early years, it was in college that he got exposed to - and fell in love with - the full array of what American comics had to offer, at a time when the field was going through a marked creative growth. A chance encounter with Marvel Two-in-One artist Ron Wilson on a bus made him realize that comics really could be a career. Following college, Nat went to work for New Jersey’s Avant-Garde Computing, writing in his spare time. He broke into comics with scripts for GrimJack and Speed Racer. Leaving Avant-Garde after several years and far too many lines of Z-80 assembly language code, Nat came across Que Publishing, a computer book publisher who was looking for comic book writers to create visually-oriented computer books. Computers Illustrated would be his first of many reader-friendly computer books. Moving to the greater Los Angeles area, Nat continued to work in both comics and computer books. While being frequently published by a variety of publishers, Nat desired to spend more of his effort on original creations rather than spending time pitching concepts for the Power Rangers and Yogi Bear. 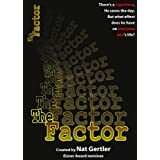 To this end, he founded the publishing line About Comics; the first issue About published, The Factor issue 0, would bring Nat his first Eisner Award nomination. About would eventually publish not only Nat’s work, but both new and reprint work by over a hundred talented creators, and expand well beyond comics. Meanwhile, Nat’s lifelong affection for the Peanuts comic strip had fed a collecting urge for the books, which in turn lead to Nat creating collector’s guides to Peanuts books and distributing them online. This all came to Nat launching AAUGH.com, an information and catalogue site for Peanuts book fans. The site’s blog did much to launch what Nat calls his "Professional Peanuts Nerd" career, writing and conceiving books about Peanuts for other publishers and writing new Peanuts stories for the comic books, among other efforts. His book The Snoopy Treasures (Thunder Bay Press, 2015) won the Independent Book Publishers Association Benjamin Franklin Gold Award for Best Coffee Table Book. Nat lives in Camarillo, California with his wife Dr. Lara Gertler and their two kids. ), a retired schoolteacher, built a successful business together before they retired. Susan: a programmer and university teacher, passed on in 2012.
) is the Congressional Research Service's expert on military aviation; his wife Judy Bradt is the principal of Summit Insight, helping those who want to make contracts with the U.S. government.
) is married to emergency room pediatrician Dr. Sue Kost, and their children are Aaron, Sarah, and Eli. Nat the writing-and-comics guy is married to environmental engineer Dr. Lara Gertler. Together they are raising Allison and Ben. Brie, the Commonwealth Professor of Philosophy at the University of Virginia, is married to Marty Porush.